The U.S. military asked 135 automakers in July 1940 to bid on a vehicle that would replace the hodgepodge of Model T's and motorcycles that made up the Army's fleet. According to specs, the vehicle had to weigh less than 1,300 pounds, have four-wheel drive with a two-speed transfer case, be able to carry 600 pounds, and feature a wheelbase of less than 75 inches. Three automakers -- Willys, Ford and American Bantam -- responded. Most of the Fords and Bantams got shipped to the Soviets and the British as part of the Lend-Lease program, but the Willys (pronounced like the name of the character in Different Strokes) MA ended up the most successful of the three. The U.S. Army decided in 1941 that a single, standardized vehicle would be more cost-effective. 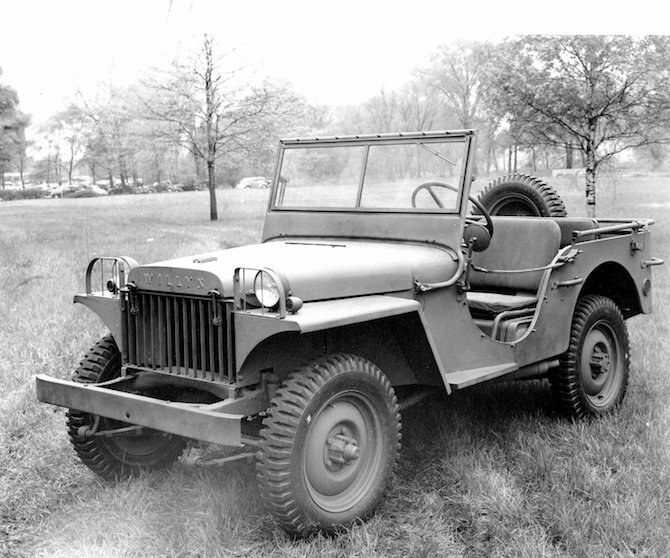 Willys won the contract, but Ford was also tasked with building the new vehicle, an improved version of the MA with fewer weight restrictions. It was named MB. The MB ended up as much an icon of World War II as General Eisenhower and the M4 Sherman tank.It was Ford engineers who pinched pennies by stamping out a slatted grille, though the original Ford design had nine slats. The well-known seven-slat grille found on civilian Jeeps post-war was created so that Willys could copyright the design.The name "Jeep" may have also come from Ford, whose original military spec vehicle was named "GP" for "General Purpose." After the war, Ford sued Willys for the use of the name, but lost. 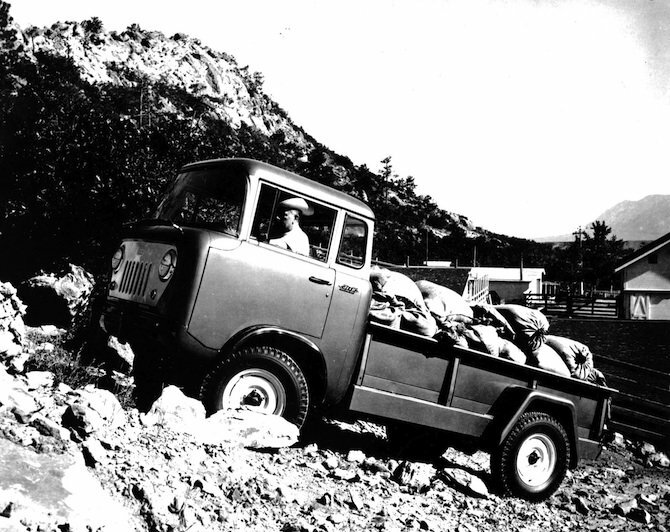 Willys sensed that there might be a market for the MB after the war among rural farmers and mountain-dwellers who needed a tough vehicle capable of handling rugged terrain. 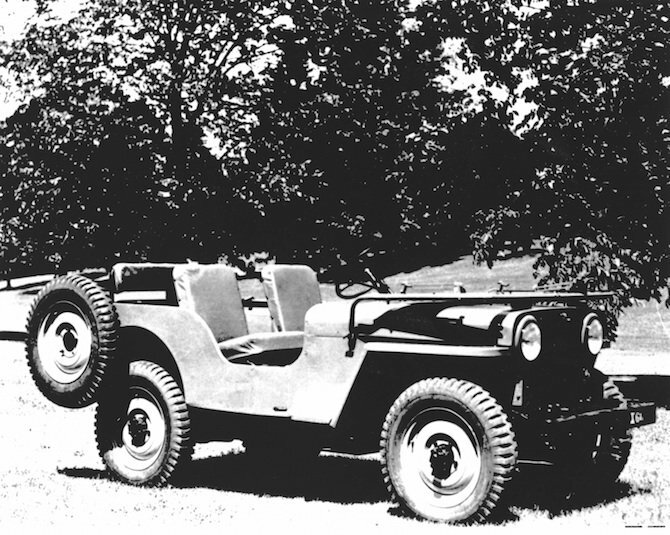 Designers added windshield wipers, a tailgate, a spare tire and civilian-style lighting to the MB, and the Willys CJ (for "Civilian Jeep") was born. On some of the earlier production models, leftover military parts were used. More than 1.2 million CJs were built worldwide between 1944 and 1986. Though ownership changed from Willys to Kaiser to American Motors, the CJ continued in production with few changes over 42 years until it was eventually replaced by the Wrangler. Trucks from the Jeep FC series (for "Forward Control," another term for cab-over-engine design) retained Jeep grilles, but otherwise looked like life-size Tonka toys. The forerunner of urban delivery vehicles from makers such as Isuzu and Hino, the FC series was smaller than a tractor-trailer cab and could be ordered with a choice of bodies ranging from delivery vans to tow trucks to fire trucks. 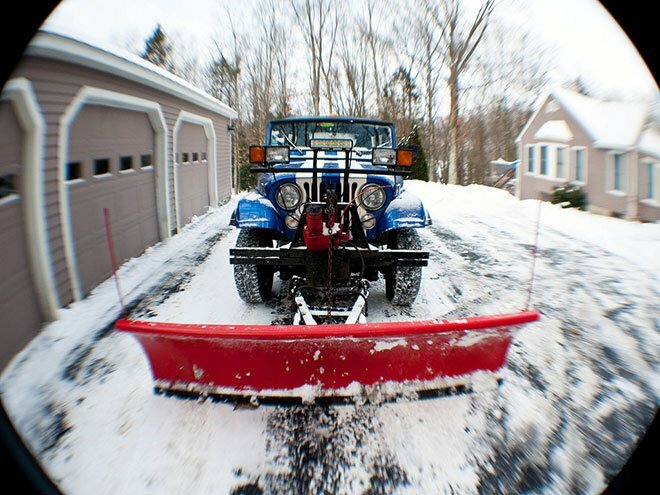 Mention "Jeep" and the CJ-5 is what most people think of. The vehicle was introduced in 1954 and built through 1983. It was based on the M38A1 Jeep used during the Korean War.Kaiser continued using the Willys engine until 1965, when it switched to a 3.6-liter mill based on a Buick V6. 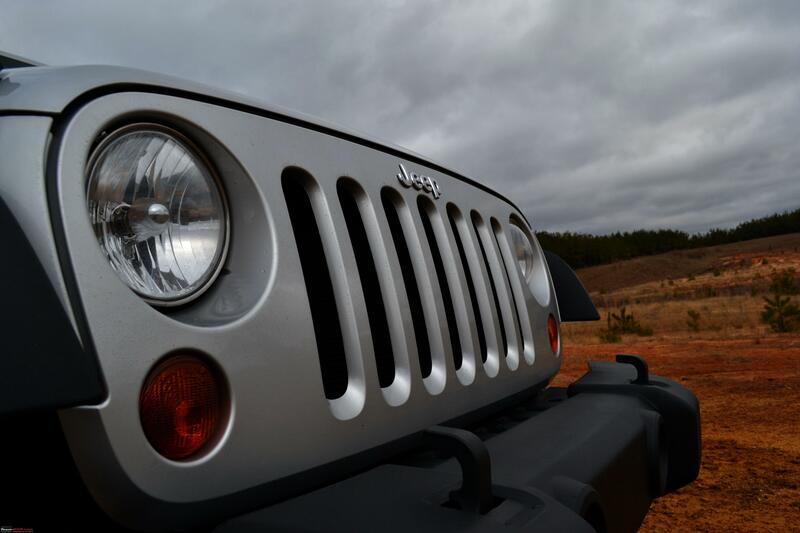 American Motor Co. bought Jeep in 1970 -- and that's a whole 'nother story -- and started using its own engines in 1972 and started offering the same 5.0-liter it used in its muscle cars. 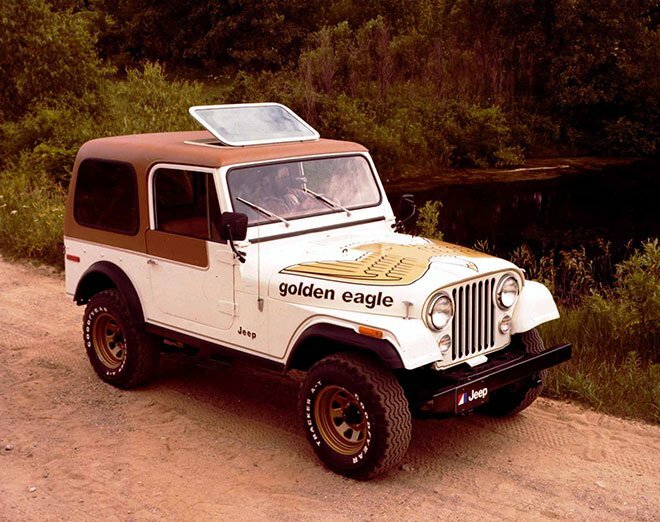 The new engines required stretching the hood and fenders 5 inches.The CJ-5 was damn-near ubiquitous, with more than 603,000 of them cranked out during one of the longest production runs in automotive history. The CJ-7 differs from the CJ-5 in that it has a longer wheelbase and doors that are a bit more square. AMC also made some mods to the frame to improve the handling. You could get it with just about any engine you might want, from an anemic four-banger to a 5-liter V8. It even made a diesel -- using an Isuzu engine -- for export. AMC built more than 379,000 of them between 1976 and 1986. Designers from AMC and Renault got together to create the Cherokee, the vehicle that started the SUV craze. 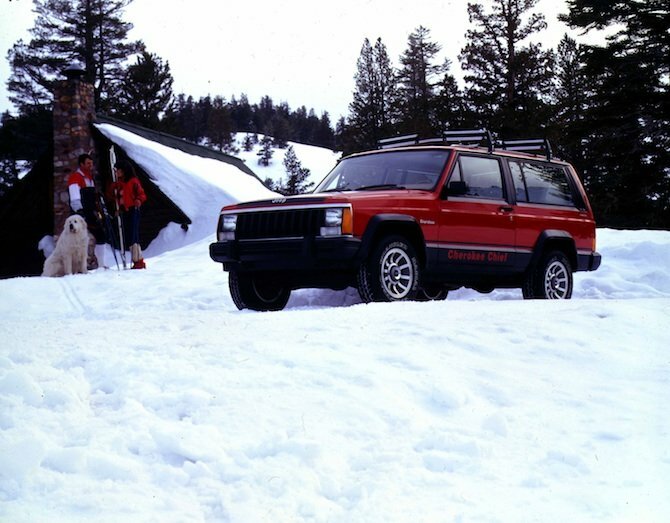 With a unibody frame and a Quadra-Link suspension, plus a compact footprint and reduced weight compared to its competitors, the Cherokee was one of the first SUVs that also appealed to car owners. It was a superb off-roader that could also be optioned out as a luxury land yacht. 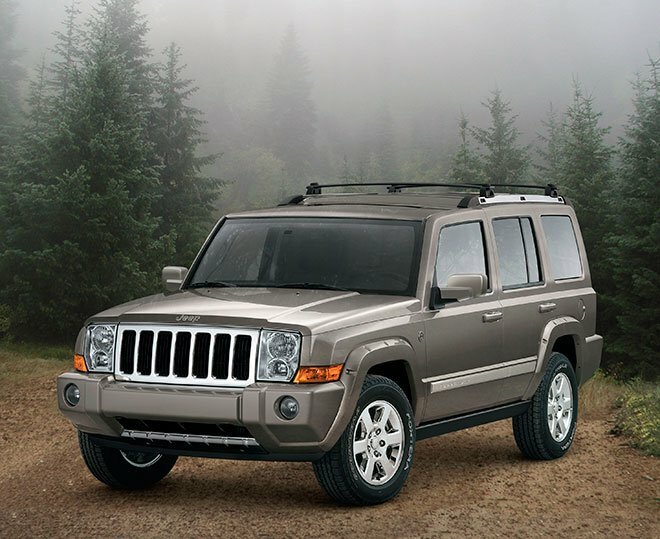 The Cherokee was so popular that it remained in production with few changes until 2001, well after the introduction of the Grand Cherokee that was supposed to take its place. 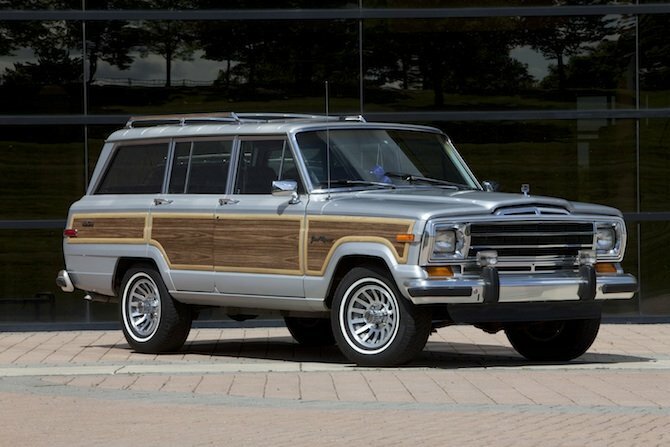 If you grew up in the suburbs in the '80s, either your dad or your next-door neighbor's dad drove a Grand Wagoneer. Actually, a lot of people drove Grand Wagoneers. During its 28-year production run, from 1963 to 1991, it underwent only minor changes, making it the longest-produced vehicle in the United States. In its final year, it still featured a carbureted V-8 designed by AMC.In comparison to other four-wheel drive vehicles of its time, the Grand Wagoneer was downright posh. 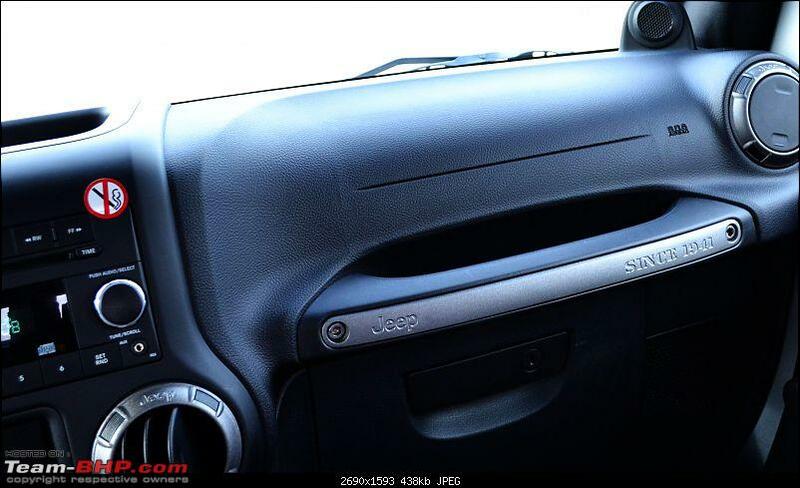 Though it's been at least 15 years since we last sat in one, we can still feel the chrome door handles, stick-on woodgrain trim, red leather interior and plush carpet. The ideal vehicle for fun in the sun, the YJ Wrangler was sufficiently removed from its battle-scarred CJ predecessor that even Barbie wanted one. With a more comfortable ride and modern, square headlights derided by purists, it gained popularity both on-road and off. 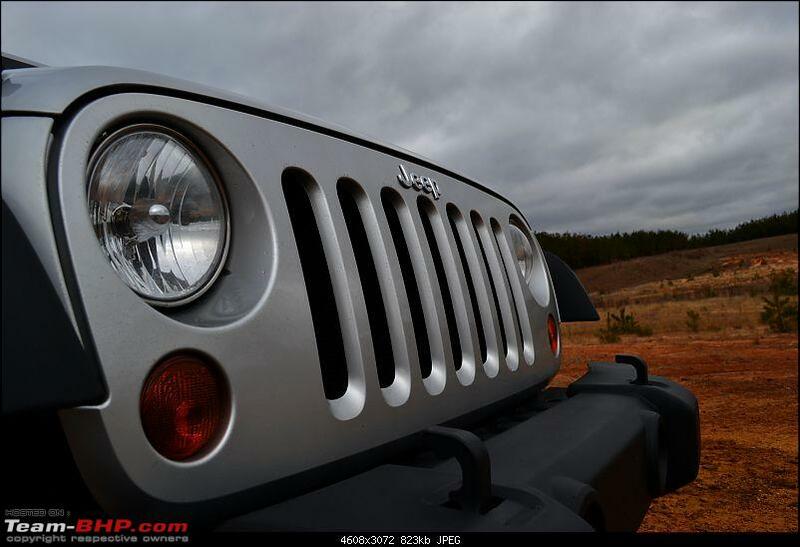 In addition to a return to round headlights, the Jeep TJ got coil spring suspension for a better ride and handling. 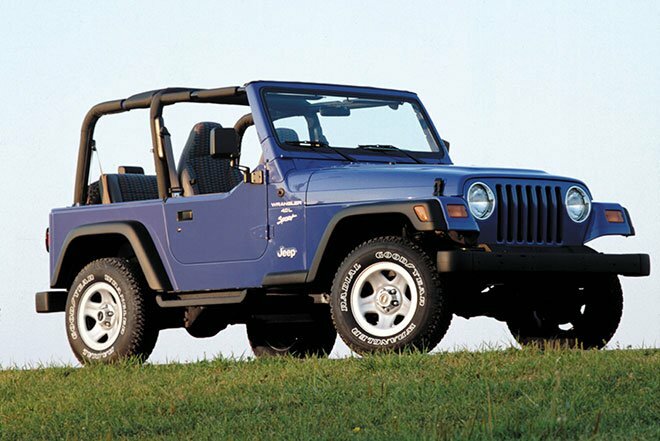 The TJ series, introduced in 1996 as a 1997 model, got a straight six and a variety of trim packages, including the "sport" model shown above. 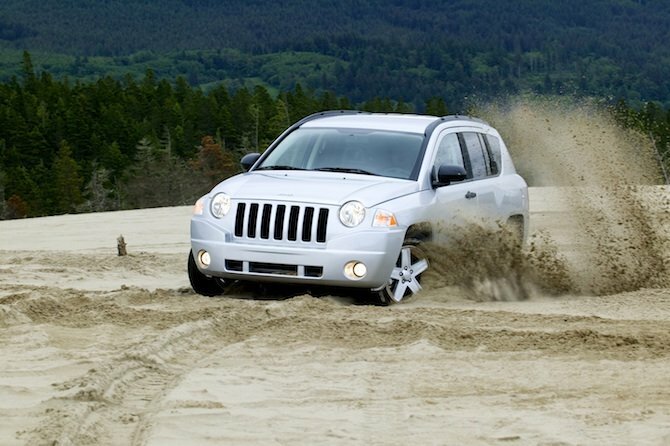 The spiritual successor to the Jeepster, the Compass has little in common with any other previous Jeep. There's a reason there's no "Trail Rated" badge on the Compass: Conceived during the ill-fated DaimlerChrysler years, it features front-wheel drive on the base model and shares a platform with the Chrysler Sebring, Peugeot 4007 and Dodge Avenger and Caliber.We're pretty sure the one in the picture is actually stuck in the sand, and those tire marks are from a tow truck. It's not the worst car on the road, but it's definitely not worthy of the Jeep nameplate. Pulizter Prize-winning gearhead Dan Neil put it best when he said of this ugly leviathan, built from 2006 until 20110, "The purpose of the Commander -- based on the Grand Cherokee platform -- is to give Jeep a seven-passenger vehicle, two more seats than the Grand Cherokee. Which raises the question: Who are these two additional people and what did they ever do to Jeep?" Arguably the finest SUV on the road today, the new Grand Cherokee emerged as a phoenix rising from the ashes of a failed Chrysler. 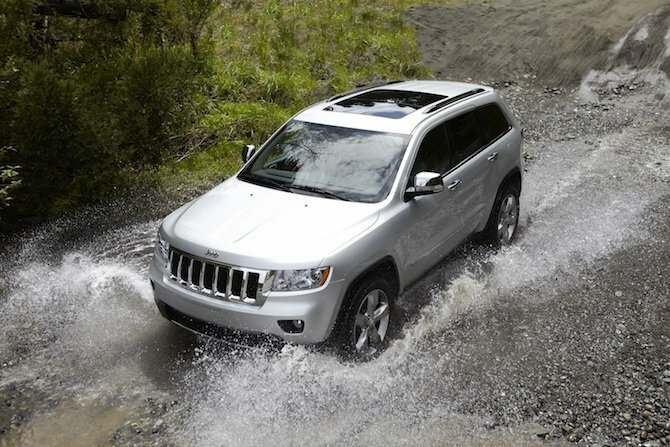 We're seriously amazed that a product this good could come out of a company that was in so much trouble, though it did cannibalize the parts bin of the Mercedes-Benz ML class during the last of the DaimlerChrysler years.The newest Grand Cherokee features an optional air suspension, a selector knob that adjusts vehicle dynamics for different kinds of terrain, and an interior that's one of the best we've ever seen come out of Detroit. Wow! Thanks for sharing some interesting info. 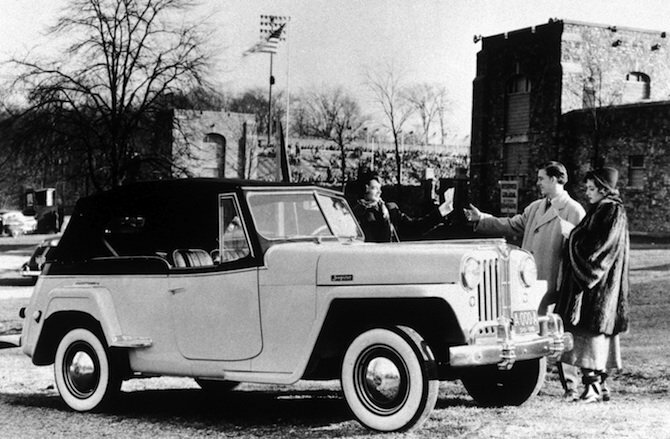 Any idea about the date when the first Jeep was made? Anything to do with January 26? 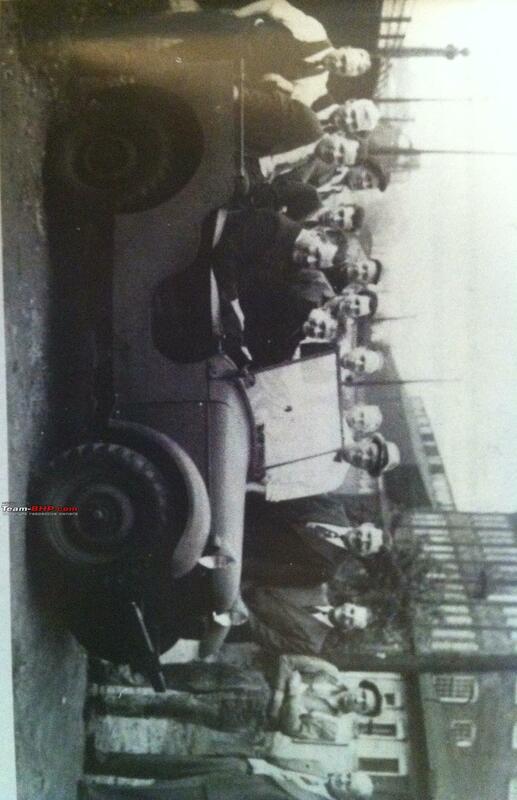 Any idea about the date when the first Jeep was made? Anything to do with January 26? 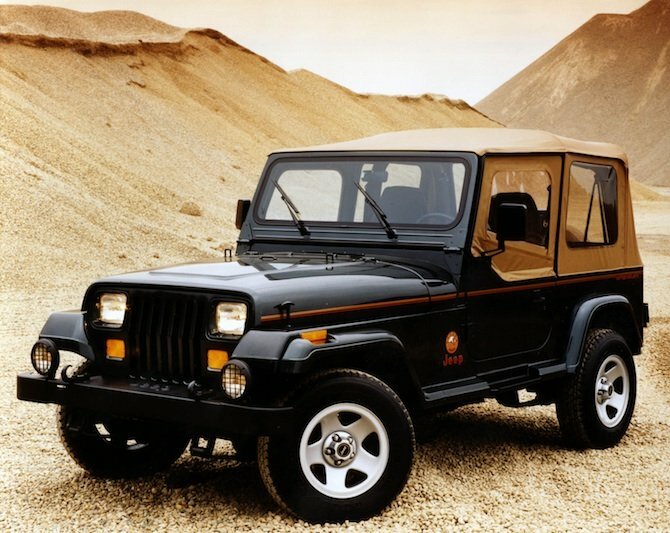 Wow,this is a wonderful thread.Its like paying tribute to this fabulous machine.The ICONIC JEEP. President Eisenhower once said the two pieces of equipment that were most influential in winning the war were the jeep and the C-47 bomber. He also said, "America could not have won World War II without the JEEP." Last edited by SILVERWOOD : 27th January 2011 at 14:17. If ever one must put a date to the birth of the first jeep it would be 21st September 1940 when the worlds first jeep 'NUMBER ONE' also known as the BRC 60 turned over and its engine came to life. It was delivered to the Holabird testing grounds on the 23rd of September 1940, 30 min before the 70 day dead line was to expire. 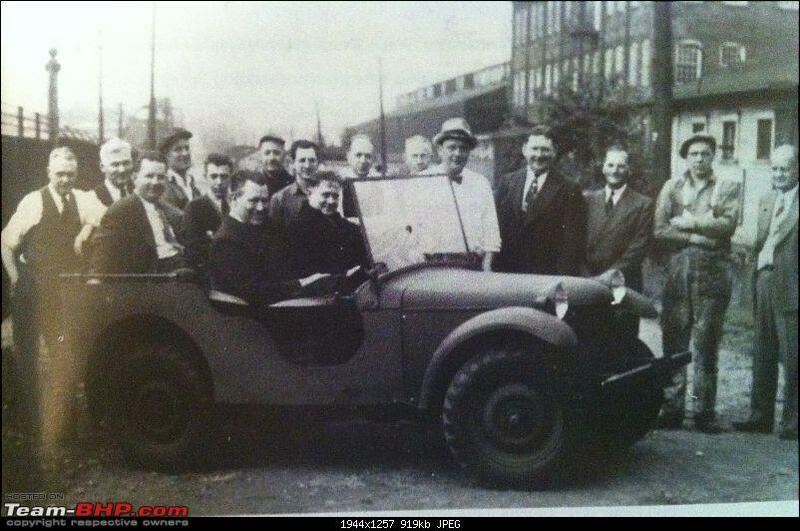 Karl H Probst a freelance automotive engineer working for the American Bantam company at the time is credited with the design and is also popularly known as the father of the jeep. Another myth or misconception is the abbreviation of 'General Purpose' as GP. In fact the true meaning of GP is 'G' for government contract, 'P' contract for a 80inch wheel base. 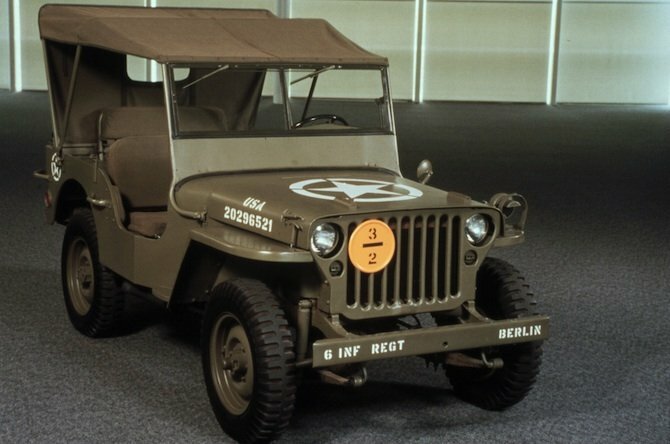 This is also why the Ford design jeeps before the contract was awarded to willys were called the GP's and then later GPW, where 'W' stood for the Willys design. Thanks for this lovely post. Have many happy memories of travelling in dad's official jeep in the 80's. After retirement he got hold of a used one as well but had to part with it due to its worsening condition. That was the age of film camera and we have very few old pictures unfortunately. While going through dads stuff could only find a picture of an old Amby with a raised boxed back. But just can't forget the rides on the last jeep in potholed city roads sitting at the backside . 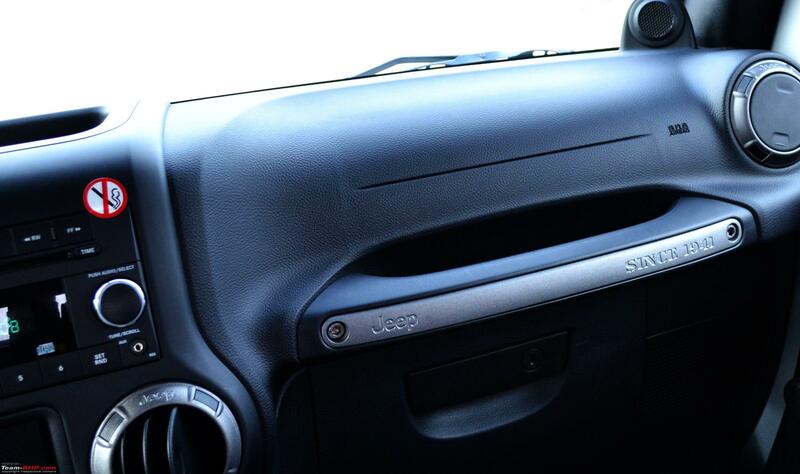 nice thread..this is what the grab handle in a wrangler says.